Aching joints seem to be just a part of getting older; about a third of American adults experience some kind of joint pain. 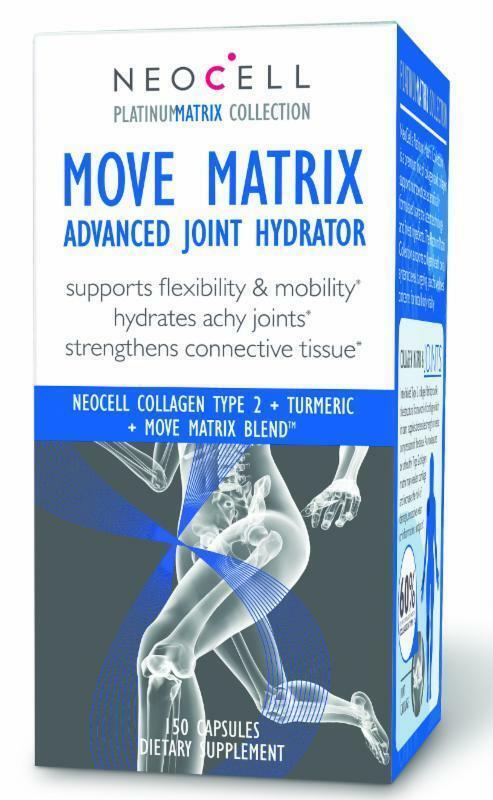 Move Matrix Advanced Joint Hydrator is the third product from NeoCell's Platinum Matrix Collection, the company's premium line of nutraceuticals. This all-in-one, comprehensive joint formula contains scientifically-advanced ingredients that work synergistically to support overall joint health and comfort. Collagen type 2, MSM and vitamin C work together to aid connective tissue, while hyaluronic acid, glucosamine and chondroitin help support hydration and joint cushioning. Move Matrix also contains NeoCell's Move Matrix Blend™ of antioxidants, including turmeric, ginger root, resveratrol, boswelia, pine bark and black pepper extracts to help with a healthy inflammatory response. Move Matrix comes in convenient capsule form. Move Matrix is sold exclusively through natural product retailers. 150 count bottle retails for $27.95. NeoCell Joint Bursts follow on the success of NeoCell's wildly popular Beauty Bursts and Biotin Bursts. 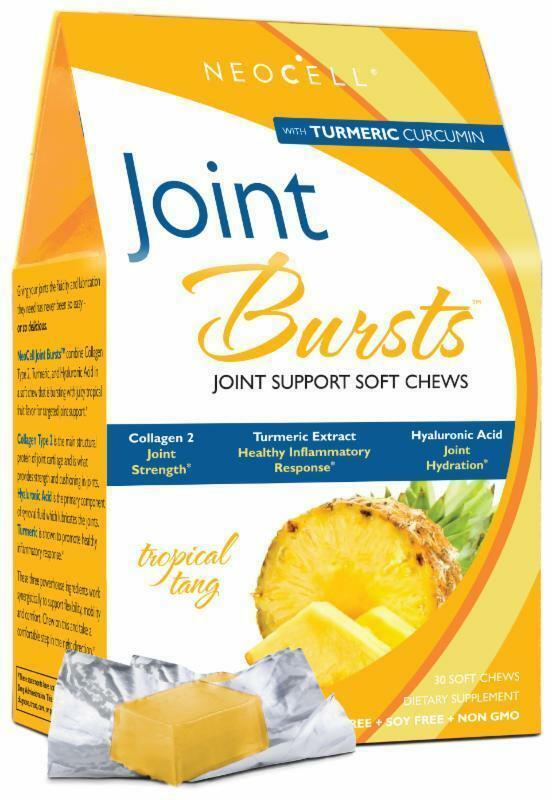 Joint Bursts combine powerhouse nutrients collagen type 2, turmeric and hyaluronic acid into delicious soft chews; nothing could be more convenient or delicious.From a field of more than 500 nominations, NeoCell Joint Bursts were named a top three finalist in the 2016 NEXTY awards, which recognize natural products for their innovation. The judges said of the product: "these chews are bound to make regular joint supplementation less of a chore for consumers weary of adding yet another pill to their regimen." Look for Joint Bursts at Whole Foods Market, GNC, Vitamin Shoppe, CVS, Walgreens and health and natural product retailers. 30 count carton retails for $19.99. I received samples of NeoCell Move Matrix Advanced Joint Hydrator™ and NeoCell Joint Bursts™ to review. I was excited to get the chance to try them out because let's face it, I am not getting any younger! I have started to run with my husband, and my knees had been sore after my runs.